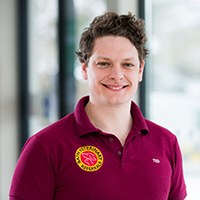 Ted graduated from Bristol University in 2012 then subsequently worked in busy small animal hospitals in the West Midlands and Bristol before joining Bath Referrals in 2017. He became a holder of the Certificate in Advanced Veterinary Practice in 2018 and has a keen interest in all aspects of small animal surgery. Outside of work Ted is an avid musician, playing drums and saxophone. He also loves going for walks with his German Wire-Haired Pointer.